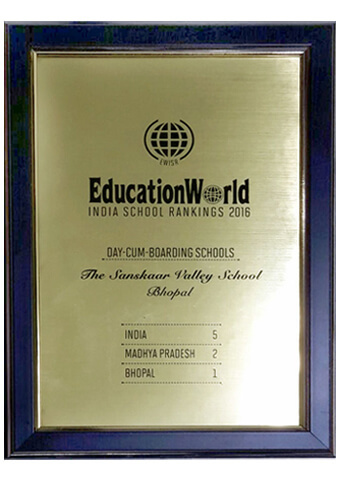 We are sure you are aware that The Sanskaar Valley School is rated amongst Top 5 in the country, being the best in Bhopal, in a recent survey by Education World. To add to our glory, the school has again been rated as the number 1 school in Bhopal with AAAA+ rating by Careers360, India's largest higher education & career counselling portal. We are proud to have your continuous support and hope that it will continue in future. 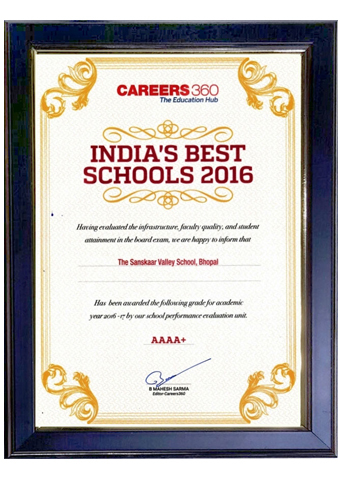 Awards :- "India's Best School 2016" and "EducationWorld India Ranking 2016"